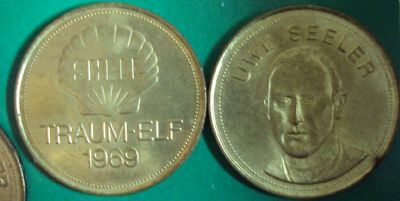 A German set of coins from Shell in 1969. Available with two different collector boards. See also Traum 4-2-4. Dream XI 69. 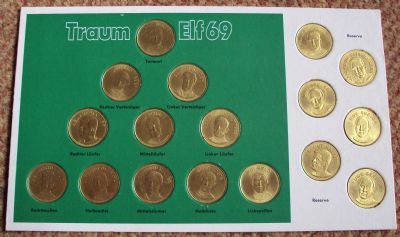 A great collector board and coins in 2-3-5 formation for the German national team a year before the 1970 world cup. Complete set with grubby coins and collector board. Nice coins with the usual Shell logo.